International flags fly at United Nations headquarters, New York City. While much of the world’s attention was focused last week on the G20 meeting in Hamburg, and Donald Trump’s first face-to-face meeting with Vladimir Putin, a historic decision took place at the United Nations (UN) in New York. On Friday, 122 countries voted in favour of the “Treaty on the Prohibition of Nuclear Weapons”. This new treaty sets the international norm that nuclear weapons are no longer morally acceptable. This is the first step along the road to their eventual elimination from our planet, although the issue of North Korea’s nuclear ambitions remains unresolved. Earlier this year, thousands of scientists including 30 Nobel Prize winners signed an open letter calling for nuclear weapons to be banned. I was one of the signees, and am pleased to see an outcome linked to this call so swiftly and resolutely answered. More broadly, the nuclear weapon treaty offers hope for formal negotiations about lethal autonomous weapons (otherwise known as killer robots) due to start in the UN in November. Nineteen countries have already called for a pre-emptive ban on such weapons, fearing they will be the next weapon of mass destruction that man will invent. An arms race is underway to develop autonomous weapons, in every theatre of war. In the air, for instance, BAE Systems is prototyping their Taranis drone. On the sea, the US Navy has launched their first autonomnous ship, the Sea Hunter. And under the sea, Boeing has a working version of a 15 metre long Echo Voyager autonomous submarine. The nuclear weapons treaty is an important step towards delegitimising nuclear weapons, and puts strong moral pressure on the nuclear states like the US, the UK and Russia to reduce and eventually to eliminate such weapons from their arsenals. 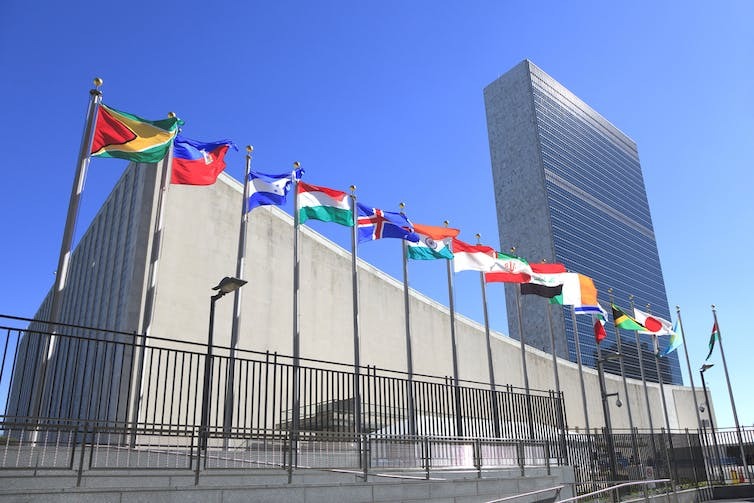 The treaty also obliges states to support victims of the use and testing of nuclear weapons, and to address environmental damage caused by nuclear weapons. It has to be noted that the talks at the UN and subsequent vote on the treaty were boycotted by all the nuclear states, as well as by a number of other countries. Australia has played a leading role in the nuclear non-proliferation treaty and other disarmament talks. Disappointingly Australia was one of these countries boycotting last week’s talks. In contrast, New Zealand played a leading role with their ambassador being one of the Vice-Presidents of the talks. Whilst 122 countries voted for the treaty, one country (the Netherlands) voted against, and one (Singapore) abstained from the vote. The treaty will open for signature by states at the United Nations in New York on September 20, 2017. It will then come into force once 50 states have signed. Even though major states have boycotted previous disarmament treaties, this has not prevented the treaties having effect. The US, for instance, has never signed the 1999 accord on anti-personnel landmines, wishing to support South Korea’s use of such mines in the Demilitarized Zone (DMZ) with North Korea. Nevertheless, the US follows the accord outside of the DMZ. Given that 122 countries voted for the nuclear prohibition treaty, it is likely that 50 states will sign the treaty in short order, and that it will then come into force. And, as seen with the landmine accord, this will increase pressure on nuclear states like the US and Russia to reduce and perhaps even eliminate their nuclear stockpiles. When the chemical weapons convention came into effect in 1993, eight countries declared stockpiles, which are now partially or completely eliminated. The vote also raises hope on the issue of killer robots. Two years ago, I and thousands of my colleagues signed an open letter calling for a ban on killer robots. This pushed the issue up the agenda at the UN and helped get 123 nations to vote last December at the UN in Geneva for the commencement of formal talks. The UN moves a little slowly at times. Nuclear disarmament is the longest sought objective of the UN, dating back to the very first resolution adopted by the General Assembly in January 1946 shortly after nuclear bombs had been used by the US for the first time. Nevertheless, this is a hopeful moment in a time when hope is in short supply. The UN does move in the right direction and countries can come together and act in our common interest. Bravo.